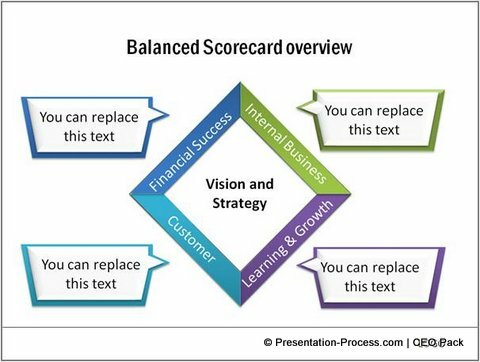 Tired of the usual Balanced Scorecard options? Discover some truly creative ways to show the concept in your business presentations. 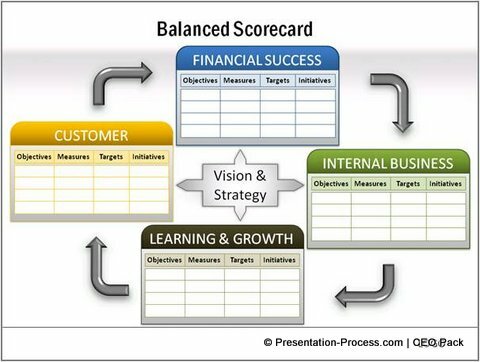 Balanced scorecard is usually used to measure the objectives of a company against four key parameters like – Financial Success, Internal business, Learning & growth and Customer. 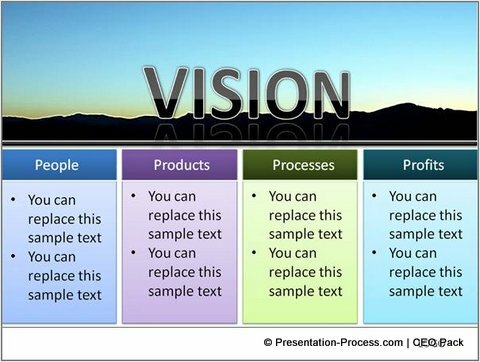 All 4 parameters are always aligned around company’s vision and strategy. 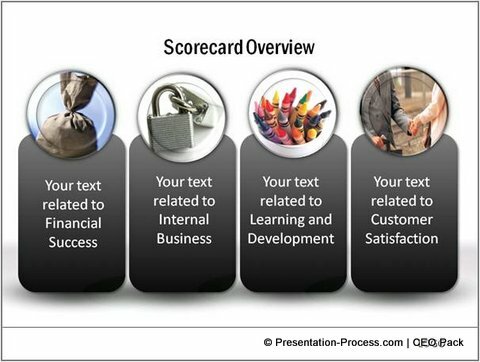 Usually, balanced scorecard diagram is created using ‘Matrix’ layout in SmartArt tool. Naturally, the diagram looks pretty dull and boring. In this article, we will explore some useful alternatives that can be used to depict the concept. You can choose the option based on the level of details you want to include in the diagram. 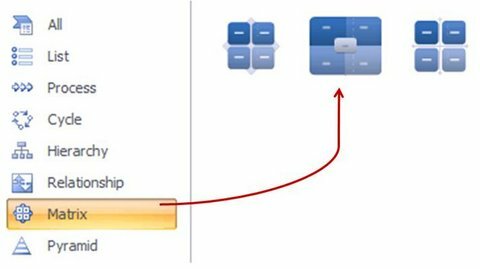 All the diagrams you see in the article are created using the basic tools in PowerPoint. 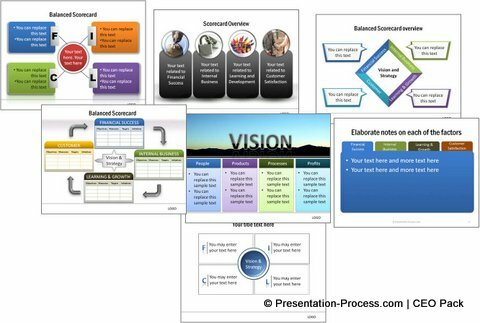 The templates are all part of our ‘750+ PowerPoint Charts and Diagram Templates pack for CEOs’. 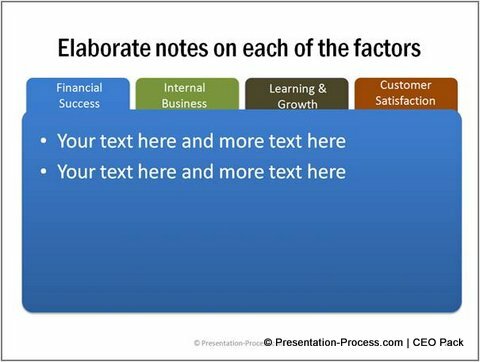 Once done, you can bring the first slide back to summarize your points. This ‘Zoom- in, Zoom-out technique’ is useful for most of the four quadrant concepts – like SWOT analysis, PEST analysis etc. Of course, you can use ‘company specific’ pictures to add a much stronger context. Creating relevant, yet creative PowerPoint templates for business concepts requires expertise and experience. At presentation-process.com we have both. 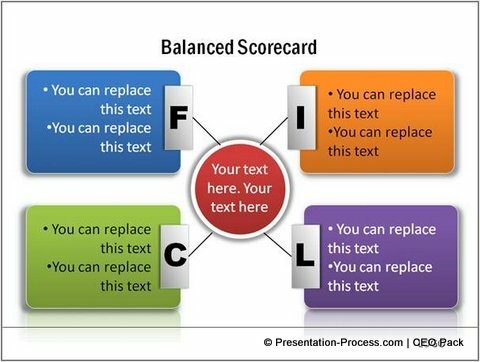 Our ‘750+ PowerPoint Charts and Diagram Templates pack’ has lots of such useful and highly targeted PowerPoint templates that serve the needs of business managers. We made all the 750 diagram templates as fully editable. So, you not only get high quality templates, but also get the complete freedom to alter them to suit your specific needs. If you are a business presenter, the pack is an essential tool for you to create effective presentations. 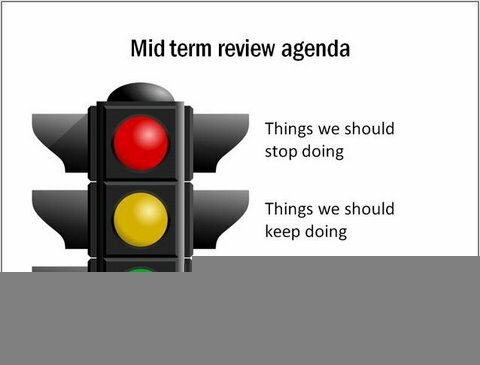 Why waste time creating diagrams from the scratch, when you can copy our diagrams to your slides, replace text and make remarkable presentations in minutes? Please browse through our collection and see how the pack can change the way you create business presentations forever.